Suncrest Building Products in Perth can help you choose the right fireplace for your family and install it safely and efficiently in your home. Fireplaces add warmth to any room whether they are gas fireplaces or electric fireplaces. On cold winter nights, it is always nice to keep warm by a cozy fireplace. 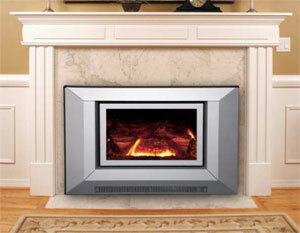 For warmth and ambience we can help you choose from a variety of gas fireplace inserts, direct vent or gas log sets. We sell models to suit a traditional, contemporary or modern décor. We can install fireplace inserts into existing fireplaces to create a cozy atmosphere and direct its heat into the room. Fireplace inserts and gas stoves can help to decrease your heating bills. With certain models, a remote control system is available. Control the flame picture and heat output of your fireplace from the comfort of your favourite chair!